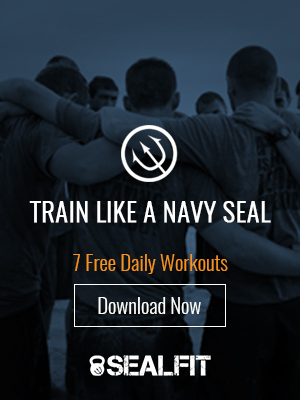 This week’s SEALFIT TV is going to challenge you – and be warned, this is definitely NOT for everyone. Although they were competing for time, the Academy still finished the August Push Up Challenge strong as a team in the pouring rain. It’s all about finding another way to challenge yourself, and this one will test whether you have superhuman strength and will power. Even if you’re not quite ready for this challenge (yet), this is something you can work your way up to and it is well worth the effort. More to come this week so stay tuned.